A welcome addition to any kitchen space, our extensive range of Bosch fridges will allow you to keep your groceries fresh and cool, so that you can enjoy them for longer. Available in a wide range of practical sizes, all Bosch fridges embrace the very latest technology to preserve your favourite foods. Featuring a food freshness system known as active cooling, a Bosch fridge provides quick and efficient temperature distribution in all the compartments and shelves featured within each model. Offering flexible and versatile storage for all your groceries, our Bosch fridge range comes complete with a number of tough adjustable glass shelves, special compartments for certain food types such as eggs, as well as a handy metal bottle rack which is available with some models. Many of the fridges featured within this range also come with a number of handy compartments with a rippled base that improves air circulation and helps to keep foods such as salad and vegetables fresh. Featuring models that are perfect for busy or quiet kitchens, our Bosch fridge range also features a number of other convenient functions such as auto defrost, food preservation technology, and fast chill. 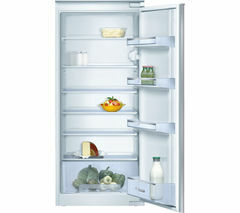 Of course, if you have a large family, American fridge freezers are always a good option! What are you waiting for? 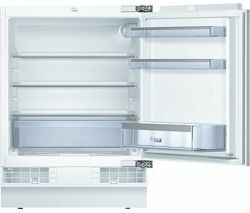 Check out our entire range of fridges today!